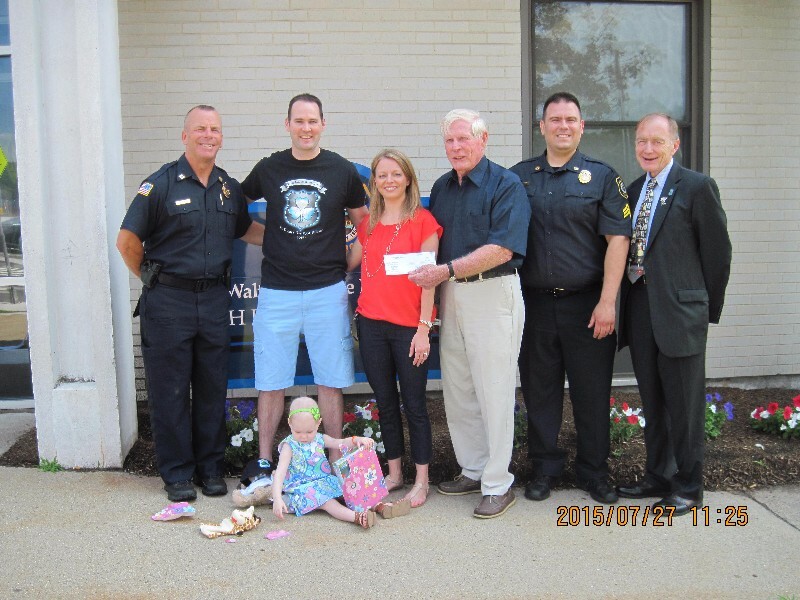 On July 27, 2015, Cops For Kids With Cancer went to the Waltham Police Department and made a $5,000,00 donation to the family of Teaghan Bresnahan, a 2 year old girl from Waltham, who has ALL Leukemia. In photo left to right, Captain Donald Feeney, Father James, Teaghan, Mother Mandy, Bob Faherty, Sergt. Dennis Deveney, and Lieut. Det. Bill Coulter, MSP & Board CFKWC.